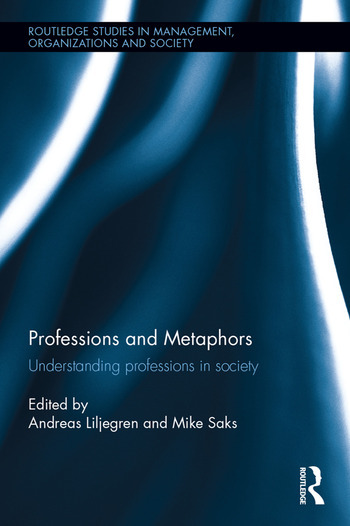 Professions and Metaphors: Understanding Professions in Society explores the way that two traditions have contributed to our understanding of both theory and society over recent decades. In the first tradition, the growing literature on metaphors has helped to guide thinking, providing insights into such phenomena as the study of organizations. In the second, there has been an increased interest in professions, from lawyers and university academics to doctors and social workers. This edited collection brings together these two traditions for the first time, providing a unique and systematic overview, at macro and micro level, of the use of metaphors in the sociology of professions. A range of professional fields are explored, from law and medicine to social work and teaching, showing how metaphors can enhance our understanding of the operation of professional groups. By demonstrating how metaphors can add to our understanding of professions in society, as well as in professional practice, this ground-breaking book makes an invaluable contribution to advanced students and researchers in fields such as the sociology of professions and work and organization – as well as informing professionals and policy makers themselves. Andreas Liljegren is Associate Professor in Social Work in the Department of Social Work at the University of Gothenburg, Sweden. Mike Saks is Research Professor at University Campus Suffolk, UK, and holds various Visiting Chairs.